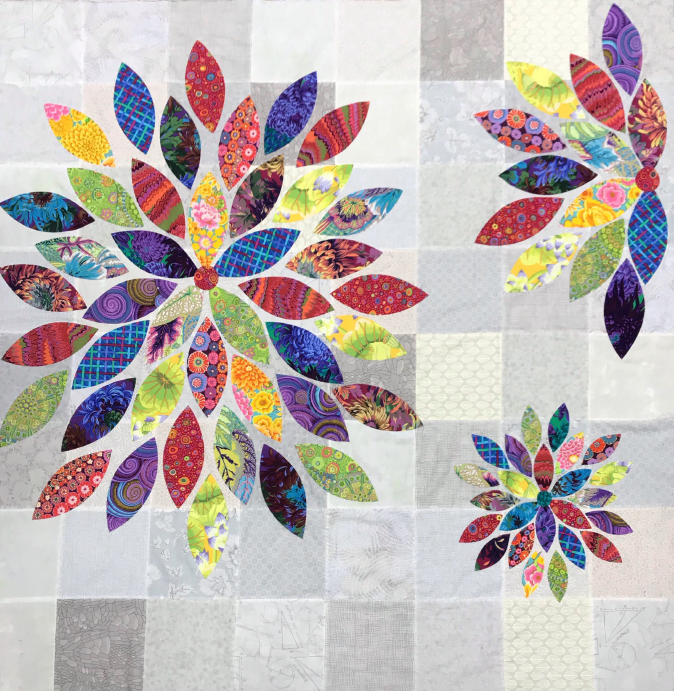 This class is taught by the designer of this lovely, scrap-busting quilt! Make your background at home, then have fun in class with Penni as you select your fabrics for the flowers, cut out the petals, and applique them to your background. This quilt finishes at approximately 68" square.